There are times when vision turns out to be no more than fantasy, and the ebullient can-do energy of the outback degenerates into mere seat-warming. 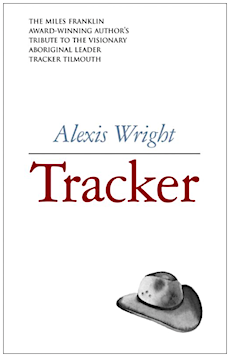 Leigh Bruce “Tracker” Tilmouth, during his much too short life, ended by cancer in 2015 at age 62, was striving to make the Territory a place of extraordinary opportunity, for all races, an ambition celebrated in Alexis Wright’s new 620 page tome, Tracker. He is described by her as untiring in his pursuits, with an excellent mind, supplemented by cheek, humour, irreverence and charm – a visionary. This an-idea-a-minute activist could call on friends in high and low places to get things going. Keeping them going was another story. A chapter in the book is called “My Agenda Is to Set Up a Food Factory”. It is significant to The Centre because it deals with making some of the million square kilometres of Aboriginal freehold land productive in the mainstream economy, reducing welfare dependency and creating a future for the kids. Typically, that was far from enough for Tracker: He had plans to turn the Territory into “the food bowl of the world,” as Danny Schwartz, Melbourne property developer and collaborator with Tracker, is quoted as saying. But in the Territory’s real world, lofty goals begging bold action often become mired in jargon spruiking nothingness. A taken-away child Tracker studied at Roseworthy Agricultural College near Adelaide and later observed arid land farming in Israel. It was a no brainer for him: Involvement of his people in a commercial pursuit was an imperative and living off the land was something they had been doing for millennia. He was deputy director and then director of the Central Land Council and he started an off-shoot, Centrefarm. That was more than 10 years ago. Centrefarm doesn’t answer questions but it appears it has yet to produce its first fruit or vegetable, grown by Aboriginal landowners. According to its website, it is working on a pilot phase of a land-based economic strategy starting next financial year. It has chosen six sites, three in the Top End around Mataranka, and three in the Centre between Tennant Creek and Alice Springs, adjacent to the Stuart Highway. Centrefarm is developing a “prospectus for the Aboriginal Estate that identifies strong commercial opportunities ready to be developed from 2023 when the Pilot phase is complete”. That’s not the pace Tracker would have appreciated when he was planning his food factory. As Wright quotes him, shoppers at the factory could select pre-cooked meals that had different colour tags for various health requirements: “You ask for the green tag, and it costs you about five bucks a meal, and you go home and put it in a billy can of hot water for ten or fifteen minutes, then you have got yourself a little cooked meal with everything in it. That’s my agenda to develop one of those food factories. “We are getting resistance from Centrefarm … I wanted to do it but no one wanted to do it … they make you laugh … woe is me, and it is a terrible thing … I feel so bad. Ah! Well! What are you doing about it? Oh! Nothing. “A lot of people like to be paid for being frustrated. They do not look at productivity, they look at being paid for being frustrated. “There is the gnashing of teeth, the screaming and crying. The degrees of frustration you see are represented in your salary package. Well you look frustrated. It must be terrible. Here is some more money. A plan to set up an Israeli-style kibbutz (originally agriculture-based communities) in The Centre failed because “we did not have a community to set it up”. Toly Sawenko, with a background in health, research, education and community development in The Centre, is quoted in the book about a trip to Israel to study horticultural practices in the lead-up to a citrus project at Utopia – a project that never got off the ground. The similarity of the circumstances were compelling: Nomadic Bedouin herders settling down to grow produce in a very arid region. The outcomes, of course, were quite different. Mr Sawenko says there were five elders from the Utopia region in the study group. Their combined clan areas were larger than Israel. The Israeli hosts “were perplexed that people could own so much land and yet have so little in terms of resources or wealth, and were not using the land in a directly commercial sort of way,” Mr Sawenko is quoted. He deplores the inevitable chaos of dealing with bureaucracies, the Aboriginal Benefit Account and the Indigenous Land Corporation included. And he says while “it was not difficult to find commercial interests that wanted to look at the idea of a joint venture of growing a crop … it was very difficult to get timely agreement from the Aboriginal side and from the funding bodies”. Investors “could not just stand there waiting with their money to invest”. 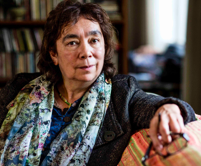 Sam Miles, who had carried out groundwater and soil research at Utopia, told Wright a similar story: “The problem was, we had three different funding bodies involved. None of them could make up their mind. It was too big for all of them, just too technical. “There were three bureaucrats there who knew nothing about business. It has not changed, I might add. “It is all about jobs but they do not say how they are going to create them. “This is where the royalty association could put in one and a half million just like that, without blinking. Mr Miles is quoted as saying that Territory Grape Farm, apparently a work in progress, is 50% owned by an Aboriginal royalty association, while investors and Centrefarm have 25% each. Meanwhile Bob Beadman, whom Tracker describes as a veteran of Aboriginal Affairs in Australia, does not hesitate to point to the elephant in the room: The reluctance of Aboriginal people to take a job, even on their own land. Former Centrefarm CEO Allan Cooney describes in the book the privately leased melon farm at Ali Curung as “probably the most profitable farm in Australia, getting 60% return on the assets managed. Most farms in Australia get 5%”. Mr Beadman comments that backpackers and the “mob from TiTree” were doing the work while the Ali Curung “mob just watched. “There is a mindset out there now that you don’t have to work, the government will keep you for life. And it has dumbed down aspirations and expectations. “That, unfortunately, then has a terrible effect on demotivating kids from even attending school. “They come out at the end of the school system, basically illiterate and not able to compete on the open market for jobs. So then history repeats itself. Tracker saw all of that. As this tragedy continues to unfold (with all the devastating consequences that flow from it) this is how Centrefarm – now in its second decade of existence – is describing its objectives in weighty words about what is after all no more than market gardening. “The Pilot Phase has been designed using horticulture as the key industry. “Three different project designs will test a variety of approaches. “This experience has enabled Centrefarm to create a comprehensive economic development strategy for the NT mainland Aboriginal estate in association with the Northern and Central Land Councils. “The strategy addresses the core economic components of land, capital and labour and responds to key challenges with innovative solutions designed to bring together Aboriginal aspirations and knowledge with commercial business and development. There is no comment about facilitating the landowners to become workers. “Conversations have begun with many of these stakeholders already. 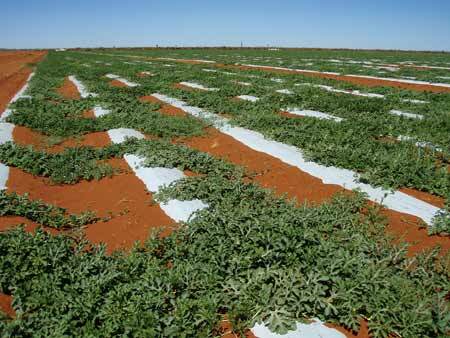 “A Pilot Phase is planned to test the strategy in six locations across the NT, accompanied by a targeted research program incorporating both Indigenous and non-Indigenous partners,” the Centrefarm website announces. After “a decade of R&D work” Aboriginal and non-Aboriginal stakeholders will be working together in a coordinated plan to commercially develop the significant opportunities offered by the Aboriginal estate”. There will be a “lead agency to act as the hub in a hub-and-spoke model, providing a recognised coordination and information point and enabling the efficient transmission of information across a large group of stakeholders. 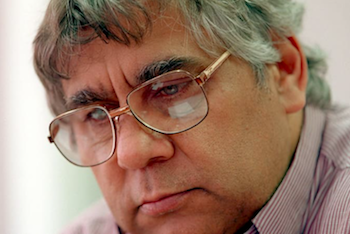 “This agency will be called the Aboriginal Land and Sea Economic Development Agency (ALSEDA). What Centrefarm will not disclose (we asked) are its budget; what (if anything) it has grown and sold; wages and other remunerations paid; how many hours (in round figures) were worked (on the land) by employees Centrefarm or enterprises under its substantial management or set up by it; and what percentage of these hours were worked by local Aboriginal people. PHOTOS (from top): Tracker (photo by The Sydney Morning Herald) • the author Alexis Wright • Ali Curung plantation • the book cover. It was about a quarter of a century ago – how time flies – a few years before I undertook a postgraduate Master of Social Science degree in sociology, anthropology and cross-cultural psychology (JCU, 2000), published the core of my thesis as BAPTISED AMONG CROCODILES: A History of the Daintree Aboriginal Mission 1940-1962 (Boolarong Press, Brisbane). And it was before I did a further five years, primarily in alcohol dependency mentoring at a remote Central Australian community, this after 15 years of working in Aboriginal and Torres Strait Islander organisations around the country, mainly producing recordings and events for indigenous dance bands, that I thought that Alice Springs would become a kind of New York. People from all over the US move to the Big Apple in search of greater opportunity for their dreams and aspirations and it’s no different among the Indigenous of Central Australia. But I wonder if local town planners have factored this movement into their vision for the future? Not so long ago, the too-often criticised police were talking about moving youth back to their communities, but the word is out that the purposelessness and abuse associated with these desert satellites is causing enough concern to render assisted passage to somewhere else. These problems were first mooted, to my knowledge, by R M Williams in the 1930s who noted that the desert tribes were on a collision course with liberal alcohol supply. Fast forward to the Gunner Government acting on most of the Riley Report recommendations (with the notable exception of banning Sunday takeaway). It’s early days in the implementation of various supply reduction measures, but 40 years of critical mass in the alcohol supply infrastructure cannot be exonerated for the Shakespearean tragedy of progressive Western values. Beyond the alcohol plague, assuming that it will be reeled in, governments will have to give thought to how remote community families and former alcoholics will be accommodated in towns like Alice Springs, with attendant social support and employment opportunity. The concept of safe or dry, no grog houses or Mandatory Rehabilitation Centres, will need to be extended to entire neighbourhoods, rising above the refugee or migrant settlements of yore. This type of housing estate requires considerable financing, planning and input if it is to be built and assisted to succeed above the expectations of many of those who are complicit in causing the tragedy of lost generations and future opportunity. It will transform the current vision of Alice Springs, but first of all, it needs to be put on the drawing board. Ursula Le Guin, the novelist who passed away a couple of months ago, recently said: “I think hard times are coming when we will be wanting the voices of writers who can see alternatives to how we live now and can see through our fear-stricken society and its obsessive technologies to other ways of being, and even imagine some real grounds for hope. Tracker was one. Surely, we can learn from what defeated his vision or the Enlightenment has bitten the dust. The Commonwealth needs amend the Aboriginal Land Rights (NT) act to require “Traditional Owners” to issue conventional, rational, and affordable leases for all their existing and proposed buildings or projects. Until this happens their extortionate behavior shall continue to block improvements upon their land. They control the land, they are responsible for failure to achieve upon their own land. These wealthy corporate groups need be accountable same as other land-owners, or expect their obstruction to continue. Absence of reasonable leases discourages banks and others from investing. Why do public moneys fund these corporate land-owners holding wealth enough to improve things with their own money? Why do Commonwealth Ministers give such large amounts of public moneys for these large areas of privately owned land ? While Commonwealth racism props them up they ensure little will change. Aboriginal people have no control over their destiny. It might be dressed up to look that way. Aboriginal people didn’t cause the conditions they’re in today. A lot has to do with constant changing government policy. You keep hearing the word “disadvantaged”, how did that happen? Its more like “marginalisation”, even on their own land that everyone else is turning a profit from, with royalties doled out here and there to make people believe they are the landlords of their country and masters of their future. There are root causes to the hopelessness Aboriginal people are displaying now. The Minister for Indigenous Affairs must be on another planet when he says the CDP is doing great things. It’s just causing more hardship. Tracker was a forward thinker, but perhaps it impinged on other people’s place and power in the scheme of things. Yes. That sums up the character that was Tracker, first known as Brucey on the footy field at Traeger in the 1970s. In and out of the play on game day. Did some useful things. Quiet for extended periods of play. As in footy, as in life, like the vast majority of us sports types from the Boomer generation. I spoke to Tracker a few times during the Robert Tickner period. One of his more infamous quotes was referring to Aboriginal people as a farm for whitefellers to manage and be well paid for producing the current tragedy. Quite a few informed commentators are now talking about assisting those who want to move from remote communities into towns where employment and education opportunities either exist or could be set up to end the hopelessness and various forms of abuse that can go with a purposeless life on a remote community. More than one is talking about overcrowded housing as a major cause of dysfunction. I’m stating the obvious. If Alice was to be a centre for remote community refugees to retrain, restart and realise a future, who would build the houses and where would they be built? Who would pay the electricity bills while the transition is fostered? Would Tangentyere and other organisations be resourced to manage this situation? Tracker seemed to think so. The Federal Government did it to resettle migrants. I recall Bob Beadman saying a couple of years ago that alcoholism would bankrupt the NT, or words to that affect and finally, we have a floor price, but in moving from generational alcoholism to the provision of basic housing, it appears that there are too many hard questions not being asked or acted upon.